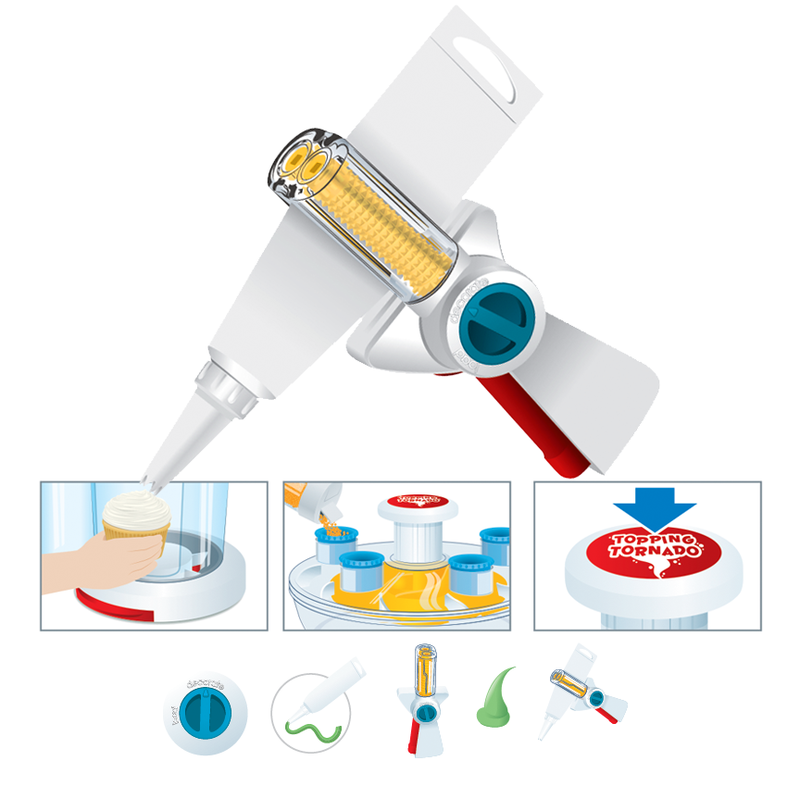 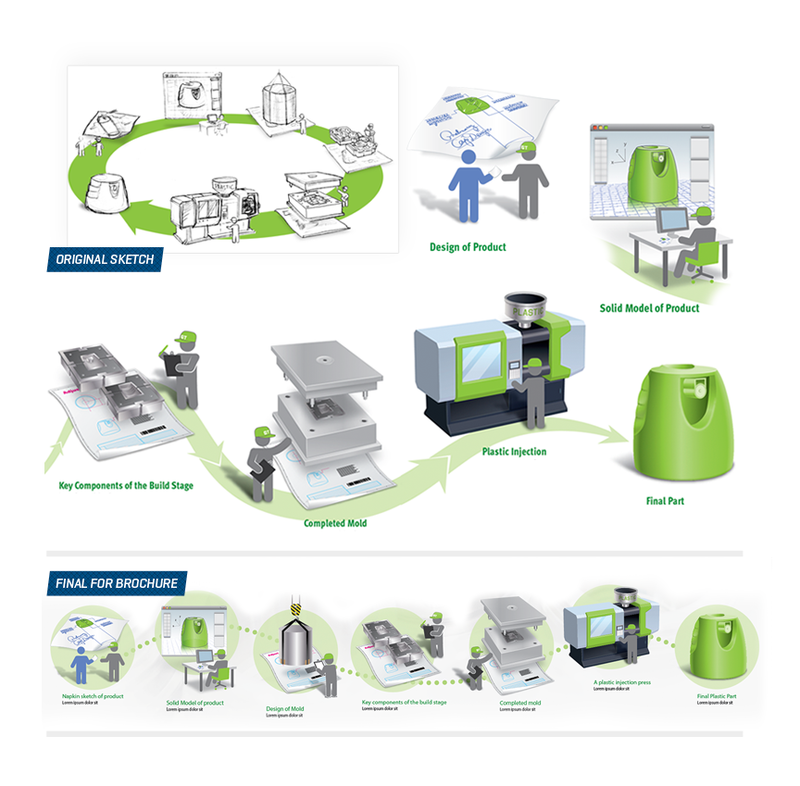 Created to show how the step by step process of creating an original plastic mold is made from inception to final product. 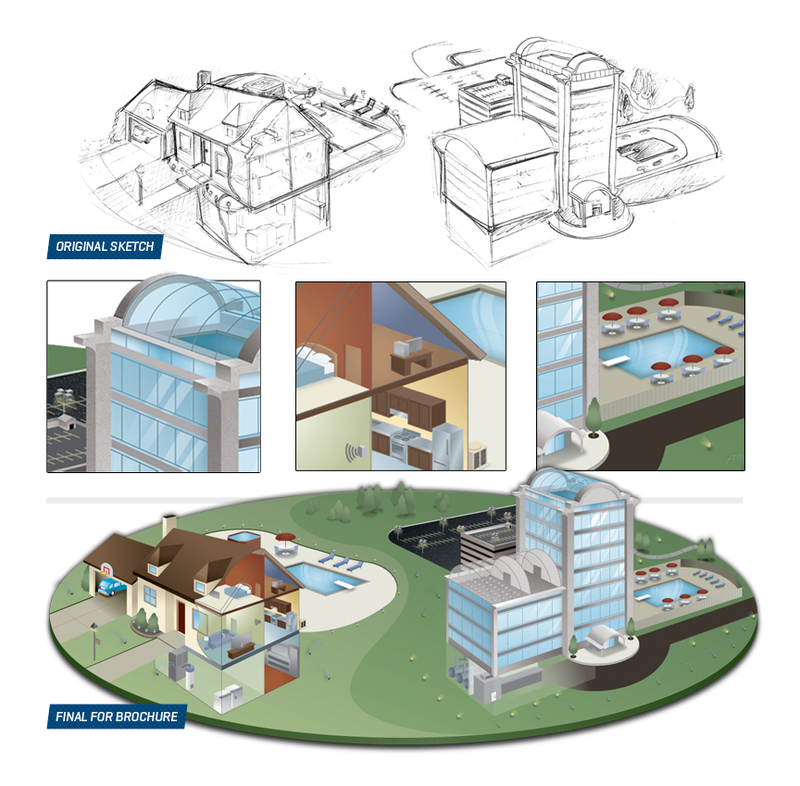 CCI needed an illustration explaining all the different applications of their professional timer and lighting solutions. 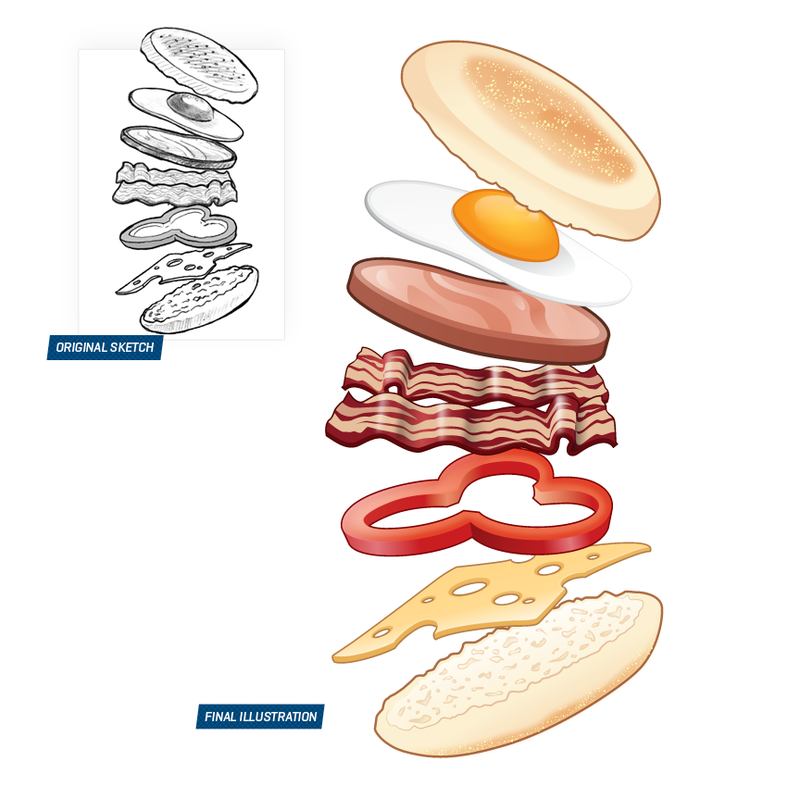 Created for a presentation pointing out all of the different cooking options for the Hamilton Beach Breakfast Sandwich Maker. 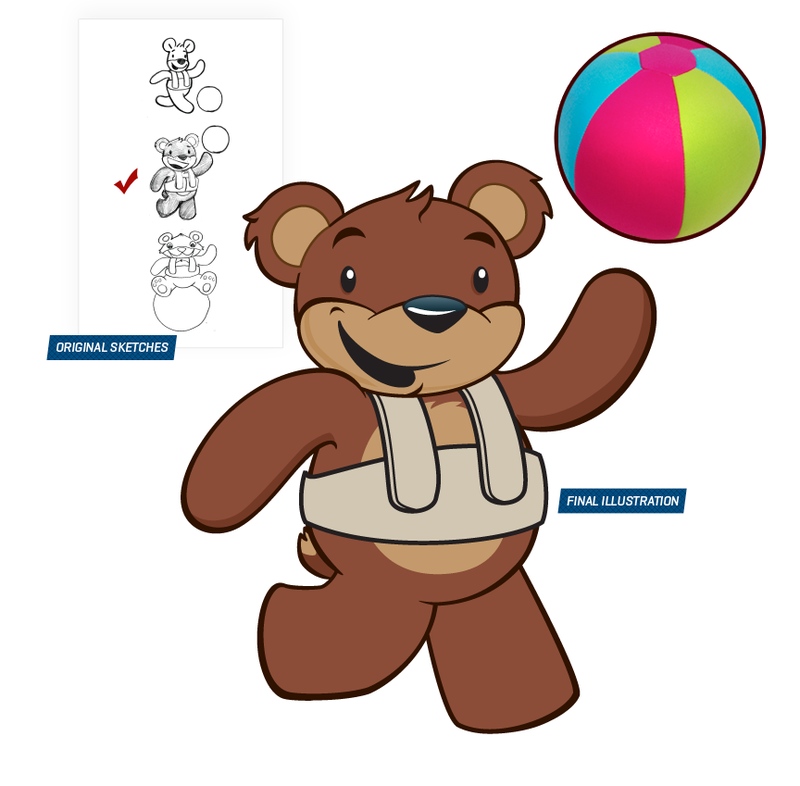 The inventor of a children's defibrillator vest wanted an illustration making the scary situation of having to wear this life saving apparel a bit more "bear"able. 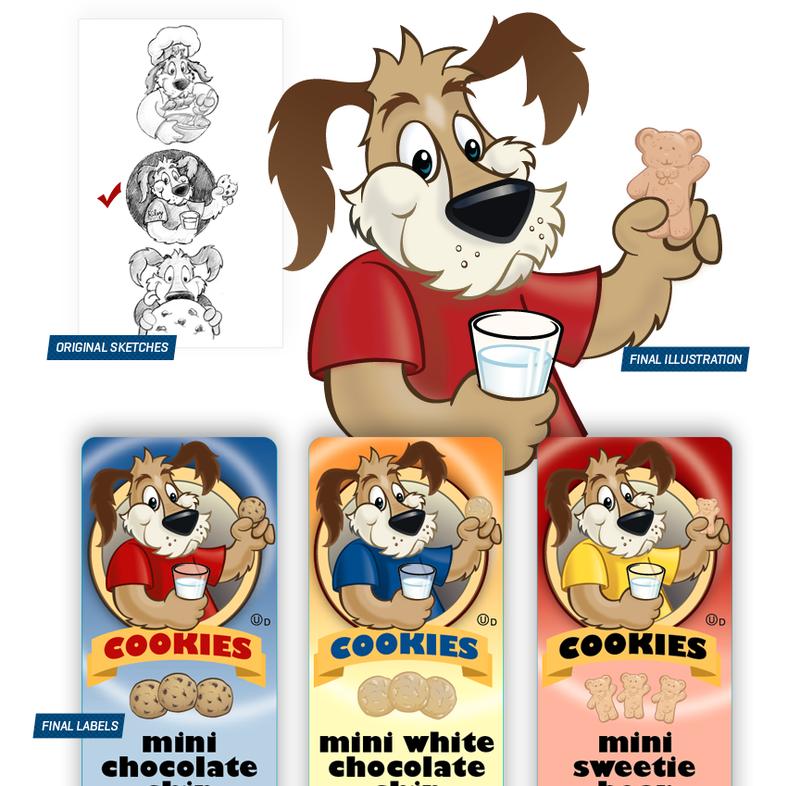 Midwest based food chain Cub Foods owned a private label character named "Riley" and turned to me for an illustration for their provate label cookies. 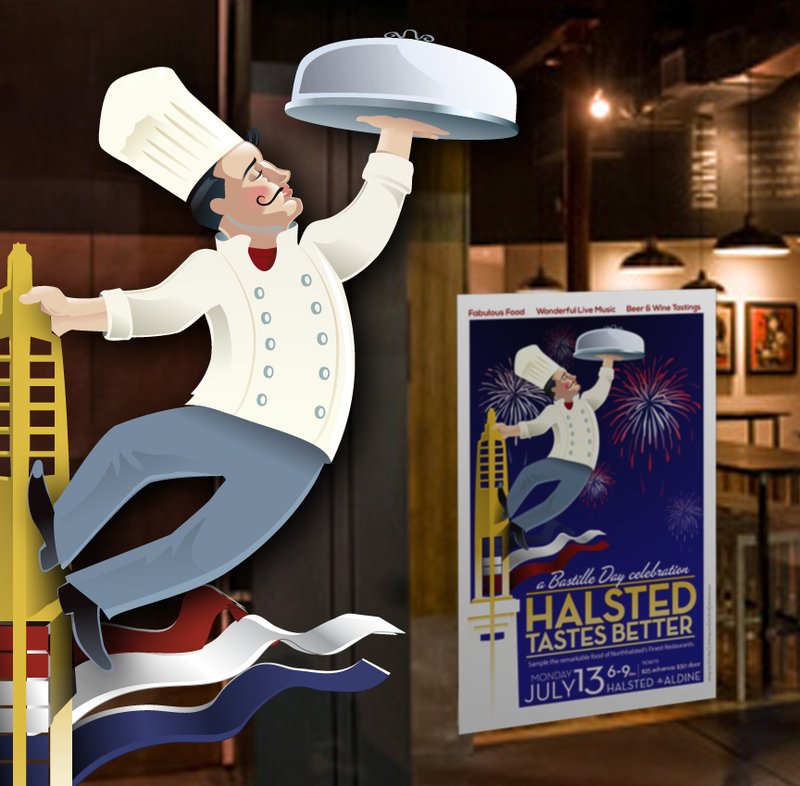 Worked with the state of Illinois to establish a look for illustrations for a workbook. 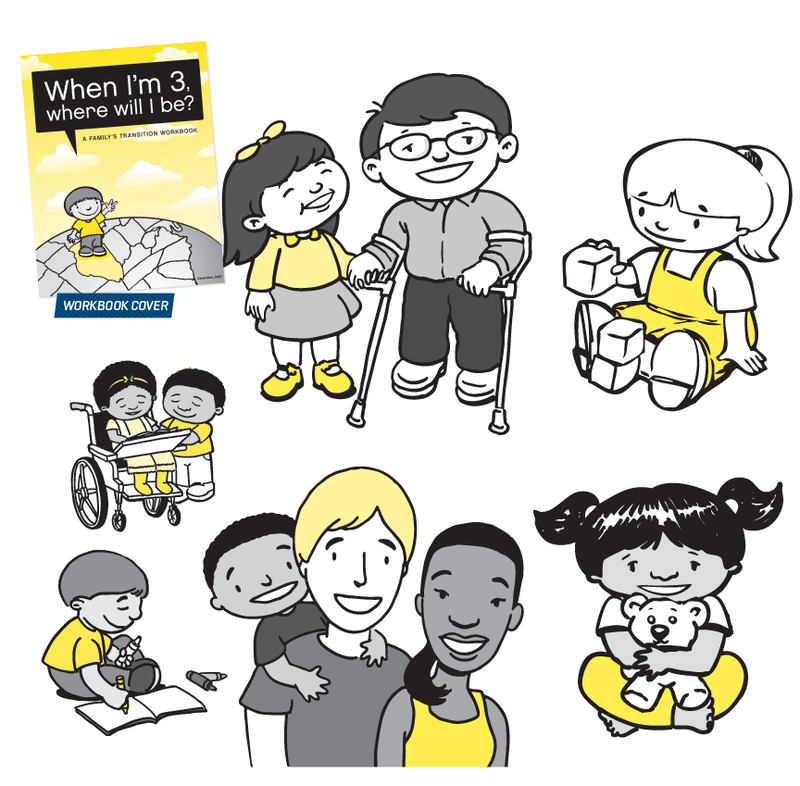 The goal—make the process of preparing their special needs child for school not so overbearing. 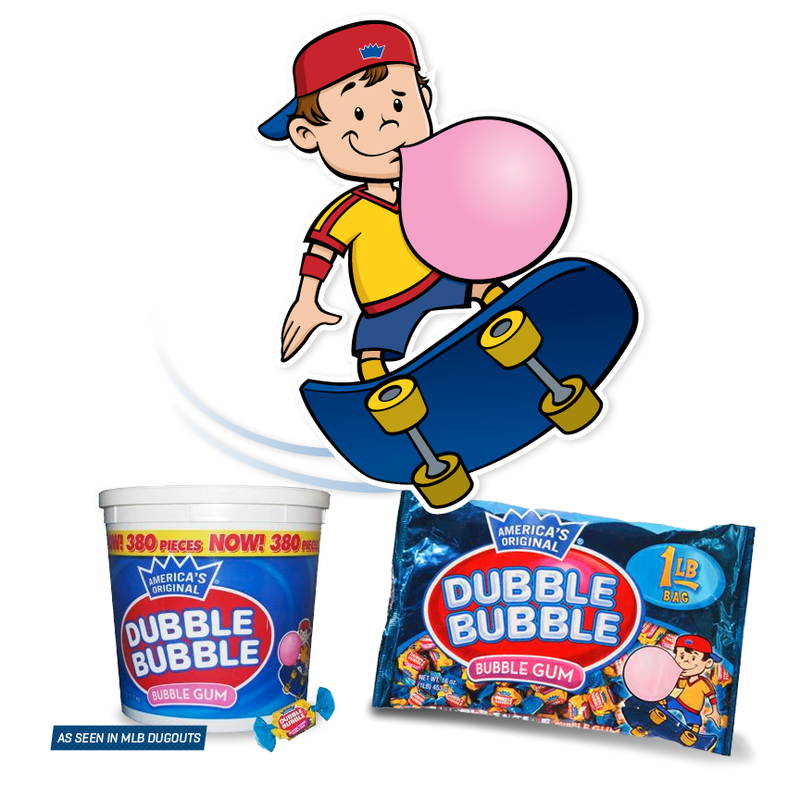 The 80 plus year brand wanted to update their "Pud" character to a more hip look. 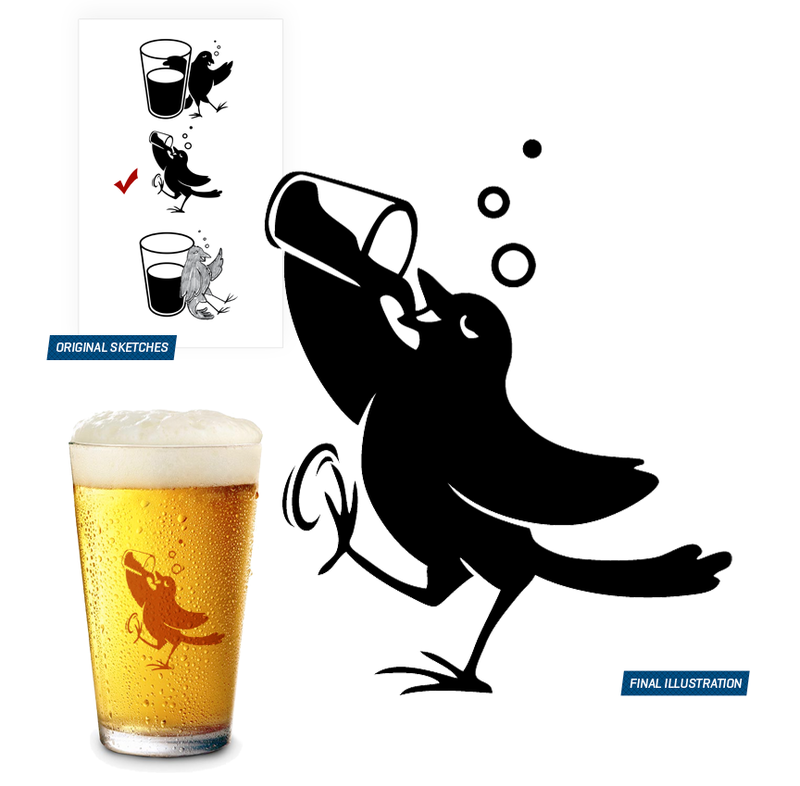 A local band, Eighth Blackbird was running a fundraiser with Mario Batali at the Publican and wanted to have a special giveaway for the guests. 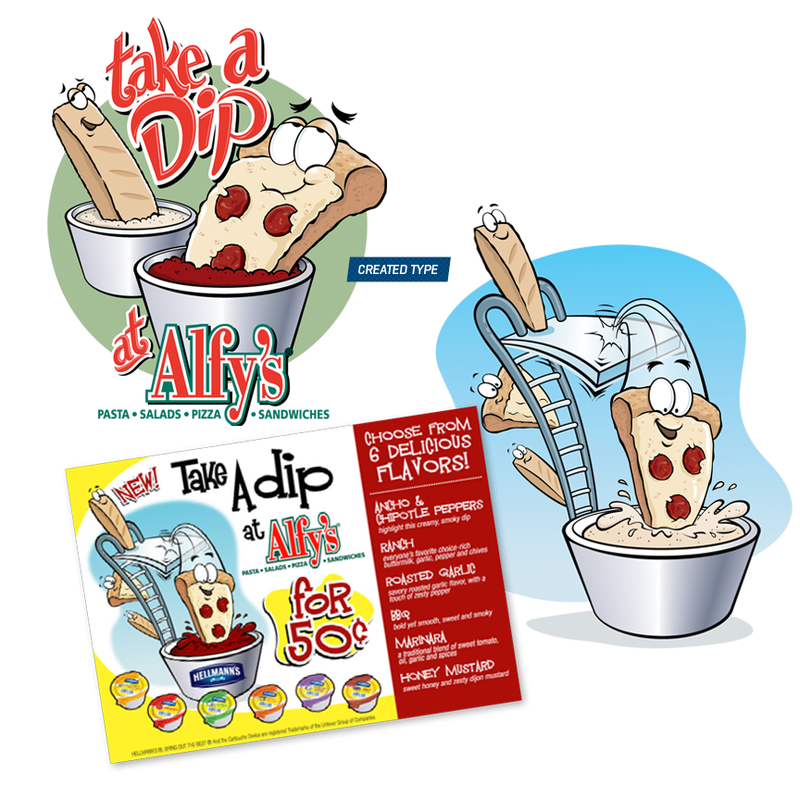 Created two different illustrations and coupons promoting Hellman’s New Dipping Sauces at Alfy's, an Oregon based Pizza Restaurant Chain.